11:30h. PALM SUNDAY. Blessing of the palms in the Convent and Procession to the Puríssima Xiqueta Parish. Under 16 years old: free. 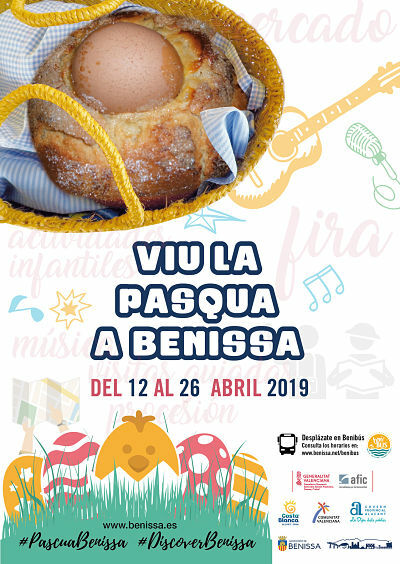 Make your own Mona de Pascua (traditional pastry topped with boiled eggs) and discover our medieval village. Starting point: Plaça Rei Jaume I. Cycle of micro concerts in singular spaces. Baroque classical music (harpsichord) by Francesc Estévez. Entry will not be allowed after the start of the concert. 20:30h. GOOD FRIDAY. Procession of the Holy Burial. 01:00h. EASTER SUNDAY. Procession of the Meeting. Options: Early care from 08:00h. to 09:00h. and Lunch service to 14:00h.